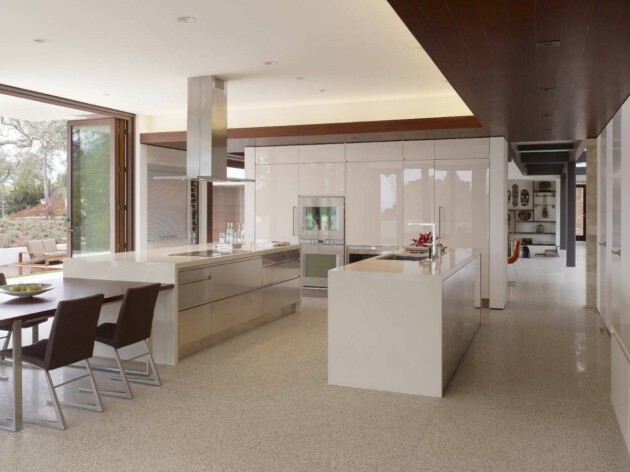 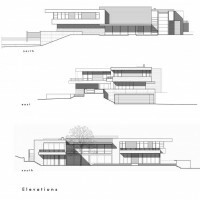 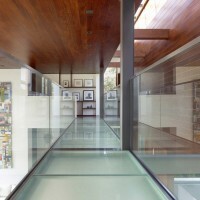 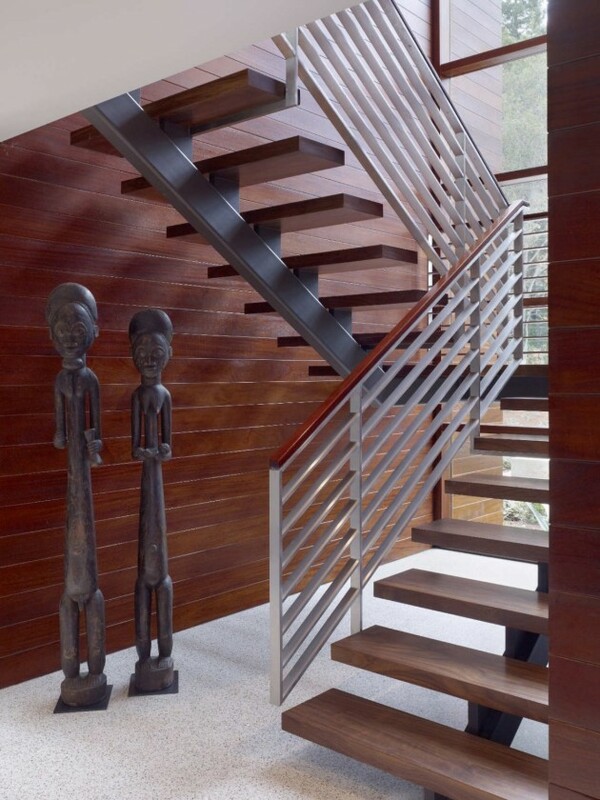 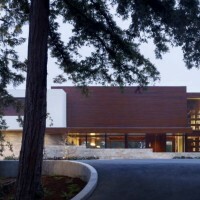 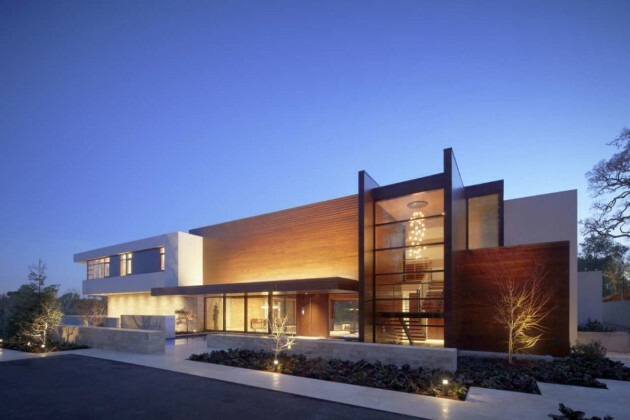 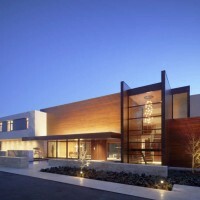 Swatt Miers Architects designed the OZ Residence in Silicon Valley, California. 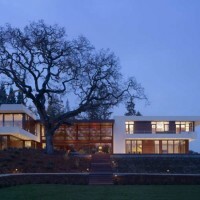 The Oz Residence in Silicon Valley, California captures the essence of casual California living with open planning, rich natural materials, and strong visual connection to beautiful gardens designed by landscape architect Ron Herman. 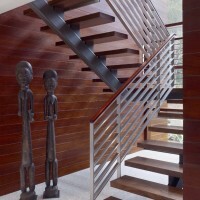 The owners, a young couple with two young children, wanted their home to have a casual, barefoot feel, like a vacation destination. 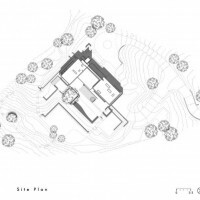 Their 2.8 acre site, with gentle slopes to the south and mature landscaping on all sides was the perfect setting to create a home that would fully engage the beautiful landscape. 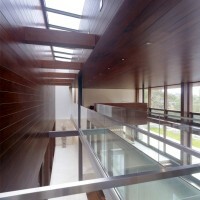 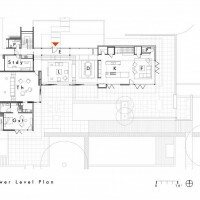 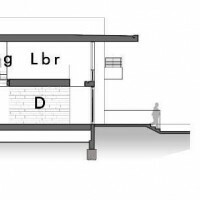 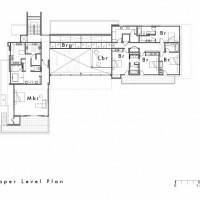 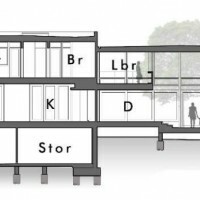 The home is organized into a ‘L’ shaped plan with 2 wings joined at a two-story great room. 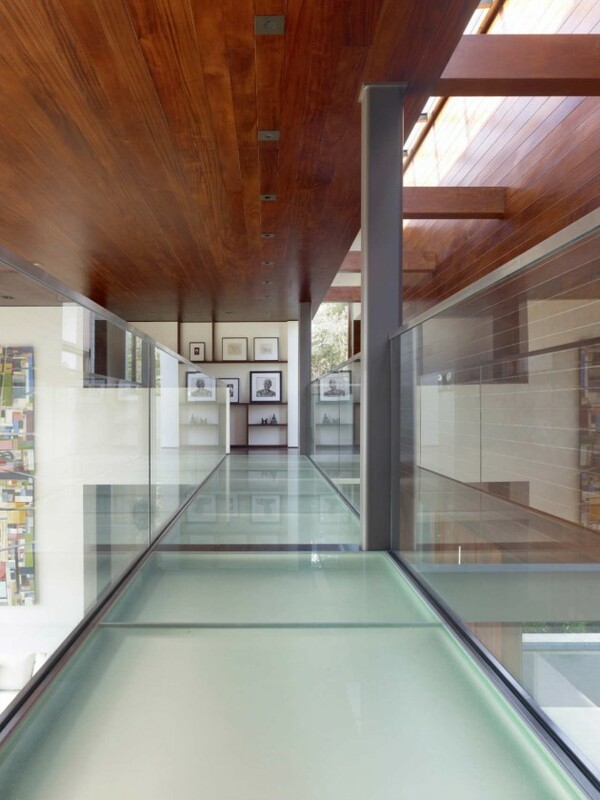 Sheathed in mahogany boards and fully glazed on two sides, this beautiful volume, pierced by a floating glass bridge, both connects and separates the family and sleeping wings on either side.